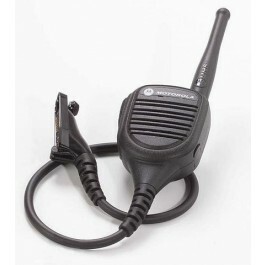 Speaker microphones are a must-have for two-way users working on industrial, construction, emergency, or manufacturing sites. 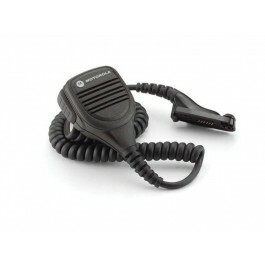 Having the audio from the radio closer to the users’ ear allows for better and clearer communications. 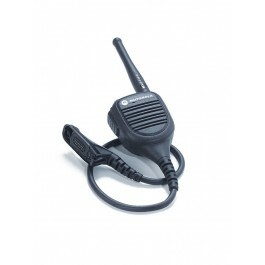 Speaker microphones can be purchased with features like noise-cancelling capabilities, waterproofing, and external audio jacks for earpieces. One of the little-known benefits of speaker mics is that they prevent dropping damage or losing radios, because the user is using the mic most of the time and therefore touching the actual radio less. 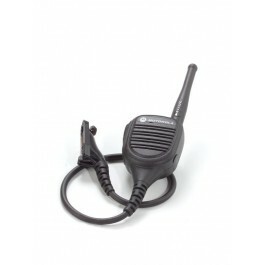 Nova Communications sells over 35% of our radios with audio accessories. 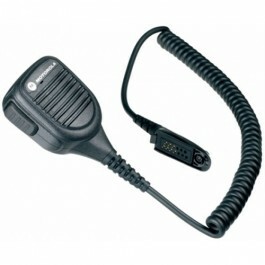 Have Questions About Two Way Radios? Talk to a Radio Expert! 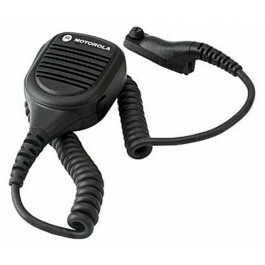 Motorola HMN9051 remote speaker microphone is water resistant and compact, allowing your staff to talk and listen without removing the radio from their case or belt. 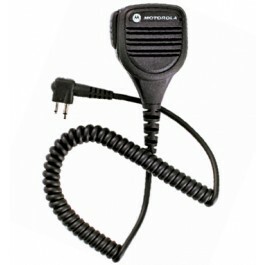 The Motorola HMN9051 Speaker Microphone work with the Motorola DTR650 & DTR550 radios and comes with a coiled cord and Push-to-Talk switch. The Motorola PMMN4071 IMPRES noise cancelling speaker microphone is built for rugged work environments and to withstand the noise levels those environments generate. Clips conveniently to your shirt pocket or lapel for easy wear and communication abilities. 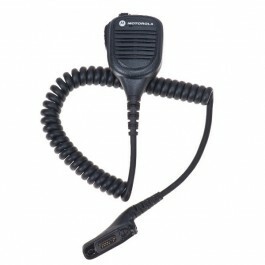 Compatible with XPR3300 and XPR3500 radios. 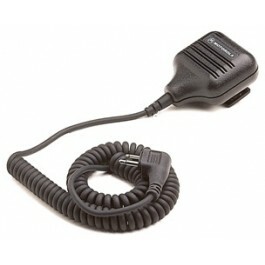 PMMN4013 - Remote Speaker Microphone with Ear Jack. 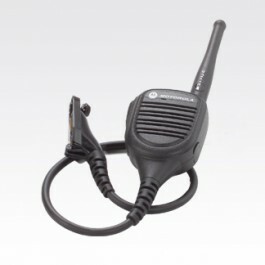 Built to Motorola's industry leading quality the PMMN4013 is a durable microphone that is perfect for construction, manufacturing emergency services, or forestry customers. 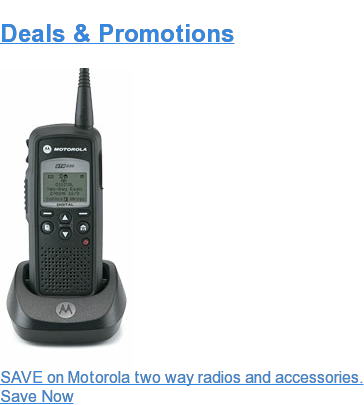 The Motorola PMMN4039 water-resistent microphone allows the user to both talk and listen without having to remove their radio from their belt or case. Noise cancelling capabilities by Motorola help to eliminate the frustration of background noise in busy, rugged work environments, making this an ideal mic for manufacturing, warehousing etc. 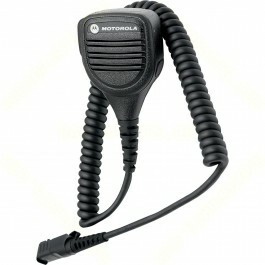 Motorola's CSA Intrinsically Safe Microphone for the XPR7550 CSA IS Radio. Designed specifically for the rugged conditions of Intrinsically Safe Radio users.